Notary (or notary public) is a public officer who is constituted by law to provide services to the people regarding non-contentious matters. Usually, the notary public officer deals with the issues related to powers-of-attorney, estates, deeds, foreign and international business. If you want to become a notary in New York, you will have to pass a written exam after which you will qualify to apply for the license from Division of Licensing Services. 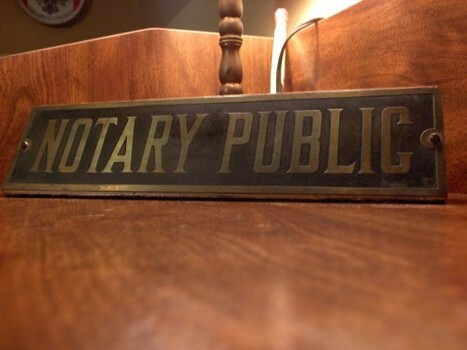 Although, the test is not compulsory in most of the states, it is becoming popular because of the increase in the duties and responsibilities of the notary public. First of all, you have to prepare for the written test of the notary public. You can simply prepare for the exam from the Notary Public License Law Handbook. Besides, you can also attend different seminars to get information about the duties and responsibilities performed by the notary public. There are many books, CDs and various other helping material which you can get to make the necessary preparations for the exam. Go to the New York State Department of State, Division of Licensing Services website to see the list of all the test centers in the state. Find the test center near your residence and apply for the test. You must read all the instructions regarding the test before appearing in it. On the test day, take your photo ID along with the examination fee. You will have one hour to complete the test, in which you will require at least 70 percent marks in order to pass. After passing the test, you will receive an email. Then, you have to apply for the post of notary public. You will get the application form with the examination result. However, if you don’t get the application form along with the result, you can simply request for it on the webpage of Notary Public given on the official website of New York State Department of State. Send the application form with $60 fee to the Division of Licensing Services. You will have to wait for around four to six weeks to get your Notary Public Identification Card which will contain your name, address, name of your county and the expiry date of your term.